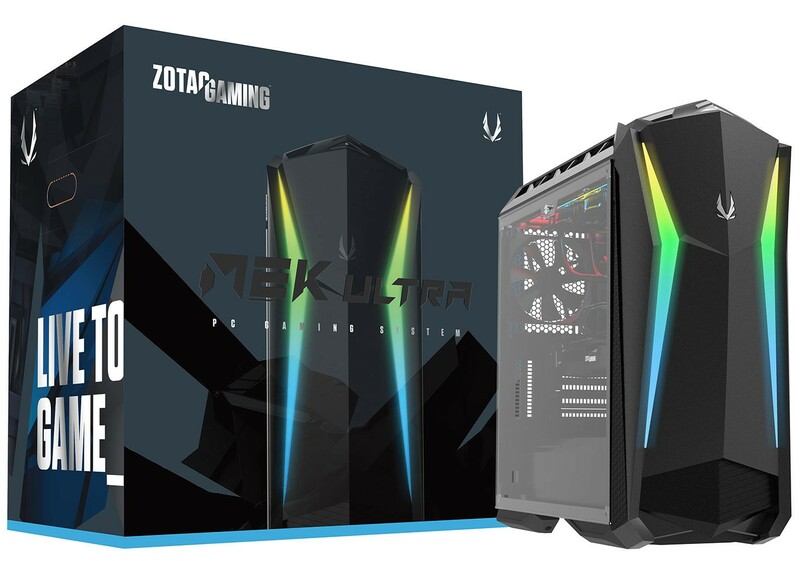 ZOTAC Technology, a global manufacturer of innovation, today announced the launch of the mightiest addition to the ZOTAC GAMING MEK Gaming PC Series – MEK ULTRA. Armed with the latest ZOTAC GAMING GeForce RTX graphics card series and latest components, the enthusiast grade machine delivers top-of-the-line performance. 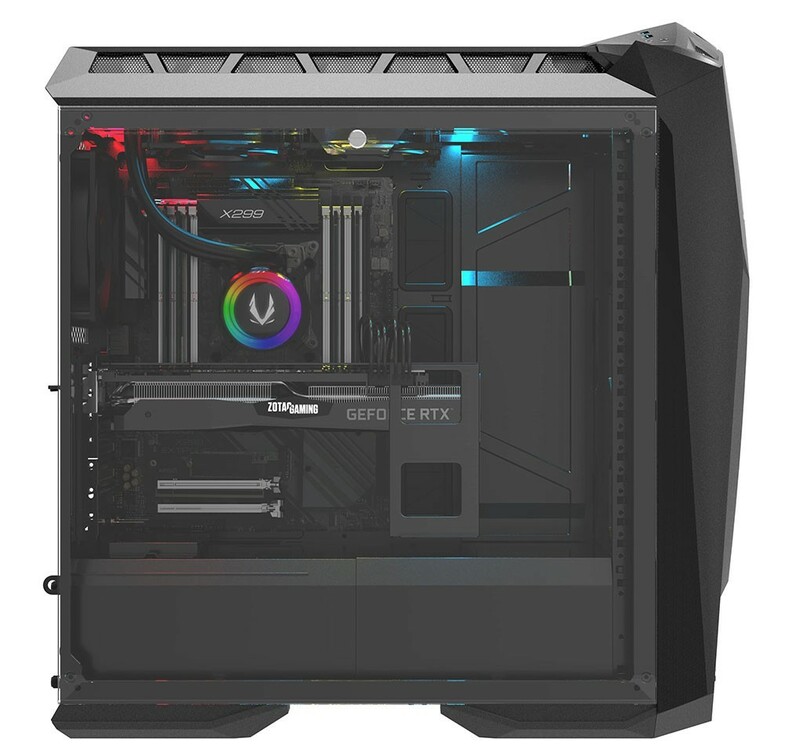 Utilizing an alluring chassis that houses immense processing power, next-gen graphical performance, blazing-fast connectivity, and uncompromised cooling efficiency for the ultimate gaming immersion. “While its predecessor MEK1 excels with an ultra-slim footprint, MEK ULTRA’s grand and fearsome exterior embodies extreme performance out of the box. 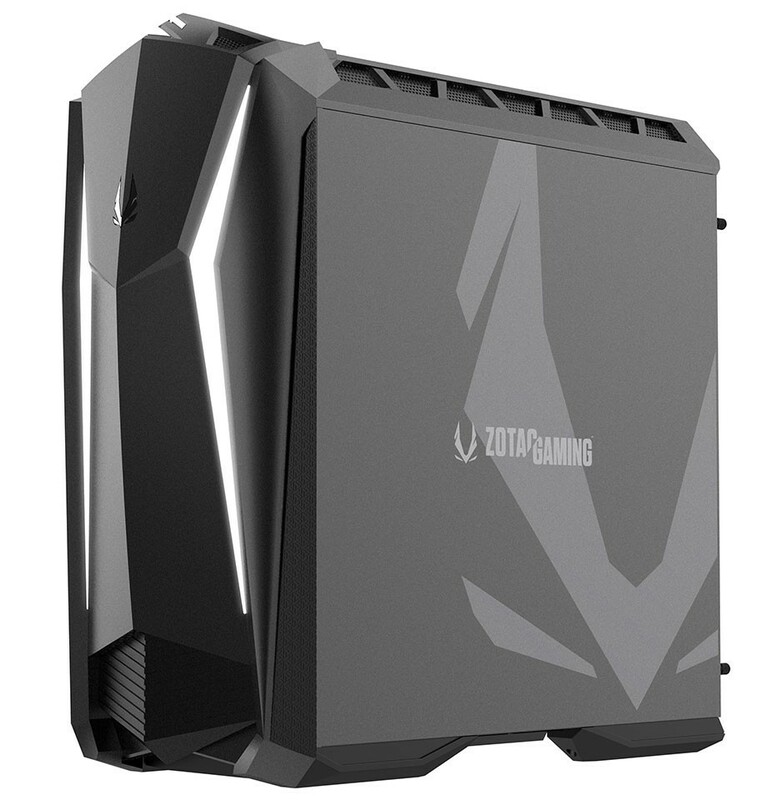 It is the high-end gaming PC every gamer dreams of, and its easily-accessible interior layout unlocks additional headroom for your future needs,” says Jacky Huang, Product Director of ZOTAC Technology. Located at the heart of the system is the 8th generation Intel Core Processor, featuring up to 10-cores carved for navigating multiple tasks and speedy processing power. Paired with up to 32GB DDR4 memory and 500GB of fast primary NVMe M.2 SSD storage, MEK ULTRA wastes no time booting up and loading of games and applications. With 32GB of Intel Optane Memory* and up to an additional 4TB large capacity hard drive, MEK ULTRA provides more space for gamers to install a library of games with SSD like load times. Power is backed by an 80+ Gold rated 1000W power supply to ensure energy efficient gold standard endurance. MEK ULTRA harnesses the power of next- generation GPU to play the games of today and tomorrow. Under the hood is the all-new ZOTAC GAMING GeForce RTX 20-series graphics cards powered by the NVIDIA Turing GPU architecture packed with up to 11GB of GDDR6 ultra-fast RAM and the revolutionary RTX platform, guaranteeing support for all upcoming ray tracing titles and powerful DLSS AI enhanced graphics. Thanks to the best of both Gigabit Ethernet and Killer AC 1550 connectivity, MEK ULTRA sheds light on the fastest and most reliable connection on wires or wireless that a gaming PC can offer. The additional Killer AC enhancements include 2×2 160 MHz channel to deliver speeds up to Gigabit bandwidth on wireless. Advanced Stream Detect 2.0 enables automatic prioritization of gaming, video, and audio. To ensure stable and the best performance under full load, MEK ULTRA taps into liquid cooling at its finest to bring the mercury down. In addition, dual 200mm fans at the forefront allow an infinite current of cool air with minimum noise to provide the perfect balance. 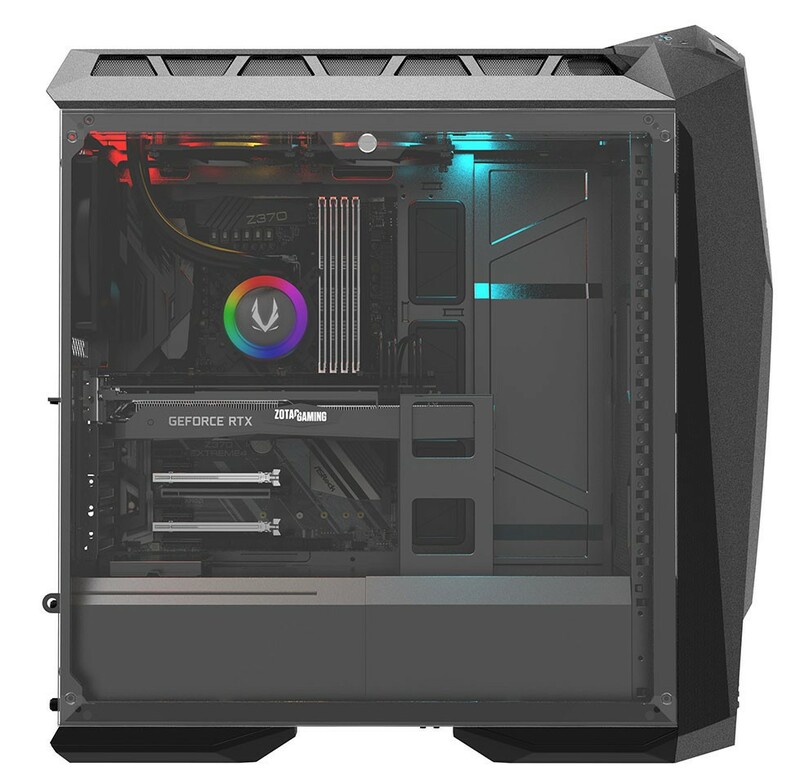 Equipped with SPECTRA 2.0 hardware featuring powerful Addressable LEDs, MEK ULTRA includes 3 zones that are customizable via the dedicated MEK ULTRA SPECTRA utility: CPU cooler, Internal light bar, and front exterior. Tap into the power of Spectra 2.0 with 13 provided lighting modes and support for a wide spectrum of colors. Install the included additional Crystal View Tempered Glass Side Panel and show all of MEK ULTRA for everyone to see.